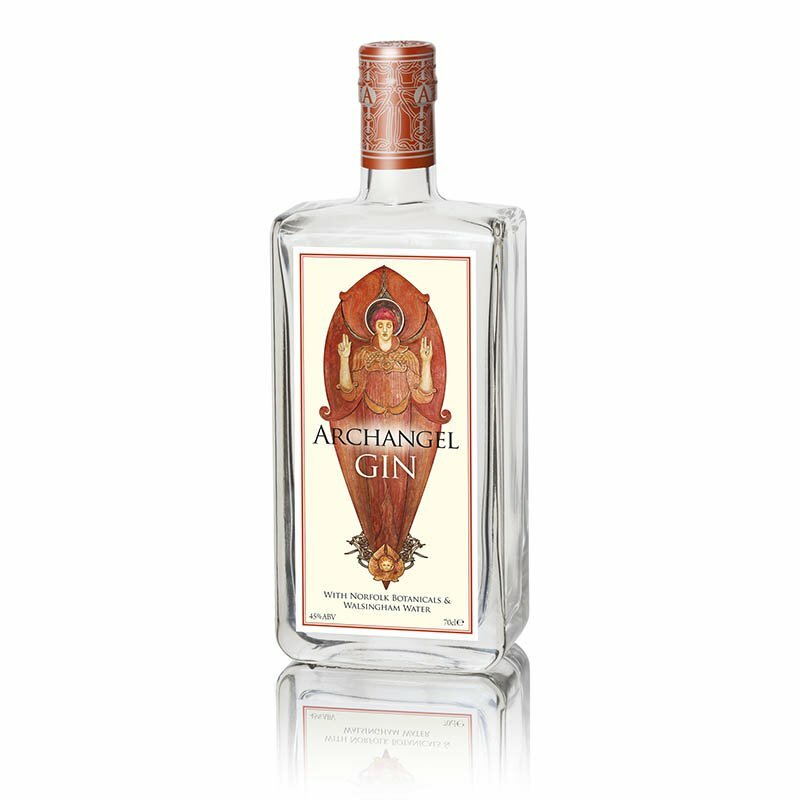 Archangel Gin is a delicious, rich, full bodied and sophisticated gin containing thirteen botanicals including Norfolk juniper, sea buckthorn and angelica. Distilled on our family farm in beautiful West Norfolk, the nose is complex and exciting and the length on the palate is nothing short of epic! The first batch was created on the 2nd February 2017 and has received wide acclaim. 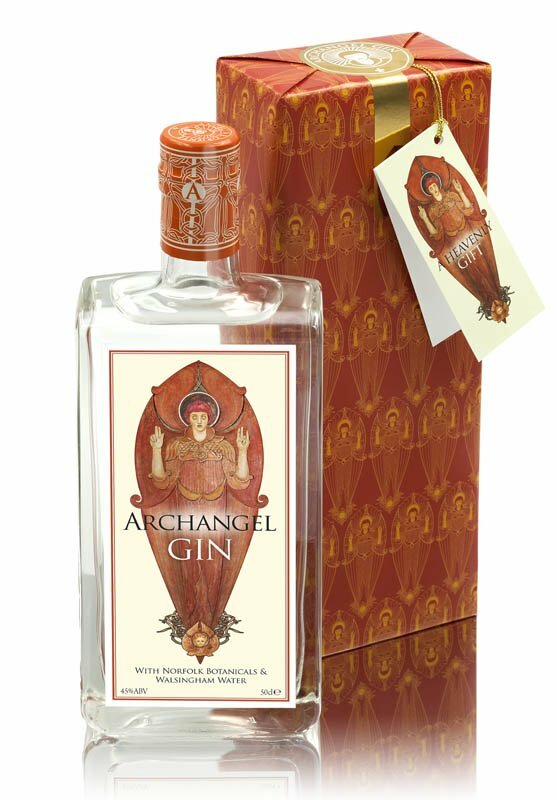 This is the same delicious gin but packaged in a 50cl bottle and a truly gorgeous gift box featuring the Archangel imagery, inspired by the Watts Artist Village. 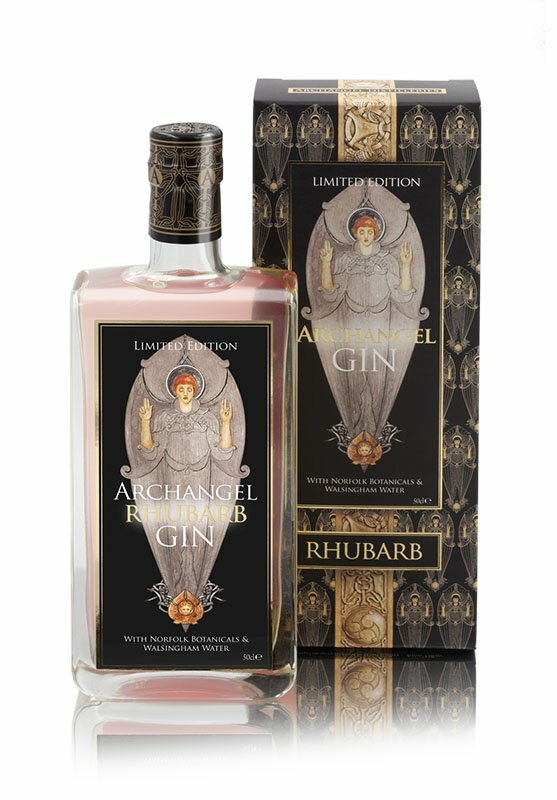 Archangel ‘Limited Edition’ Rhubarb Gin Liqueur contains only the finest Norfolk Rhubarb, grown for us by Norfolk Farm Produce at Beeston. 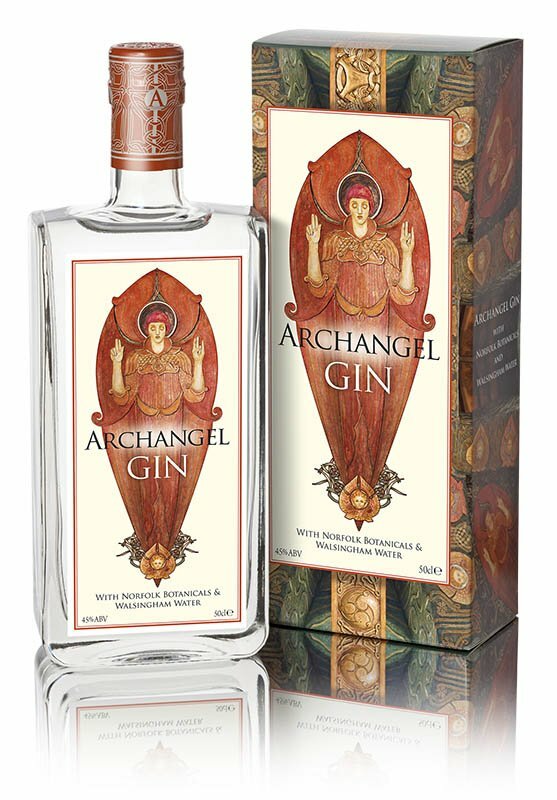 The rhubarb is steeped in glorious Archangel gin for a minimum of four weeks and tasted frequently to see how it’s coming along! We mix the finished product with a little of our own Vodka to ensure we have the right balance of delicate flavours. Each batch is unique as the flavour profile of the rhubarb develops over the summer. We filter twice – but not too much! We don’t want to lose any of that delicious rhubarb flavour, so every bottle is very slightly opaque and an entirely natural colour. No pink colouring added! It can be drunk as a warming liqueur or with tonic. 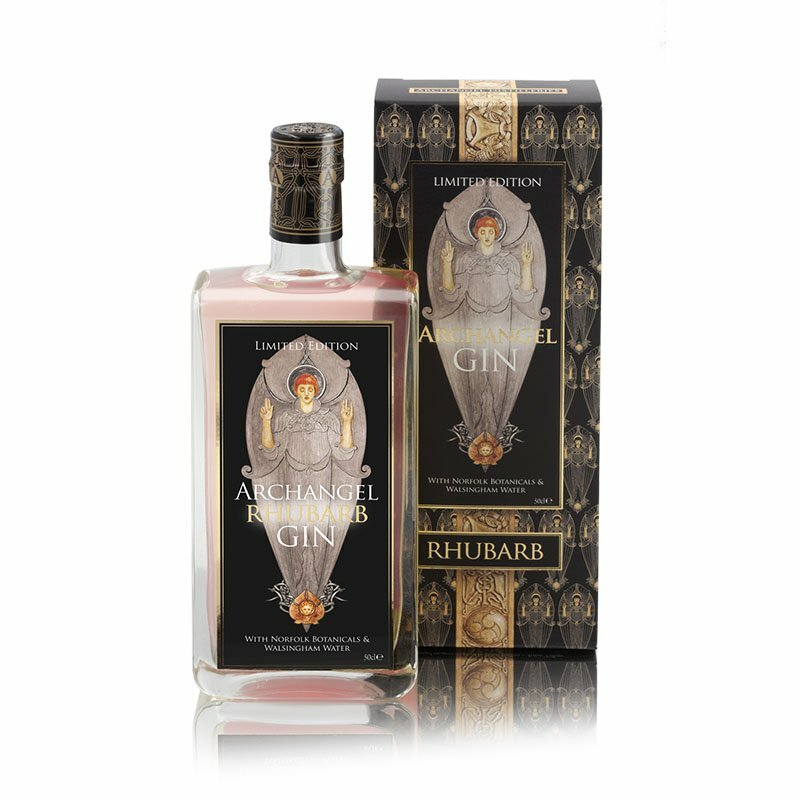 Either way this Rhubarb gin is truly heavenly. 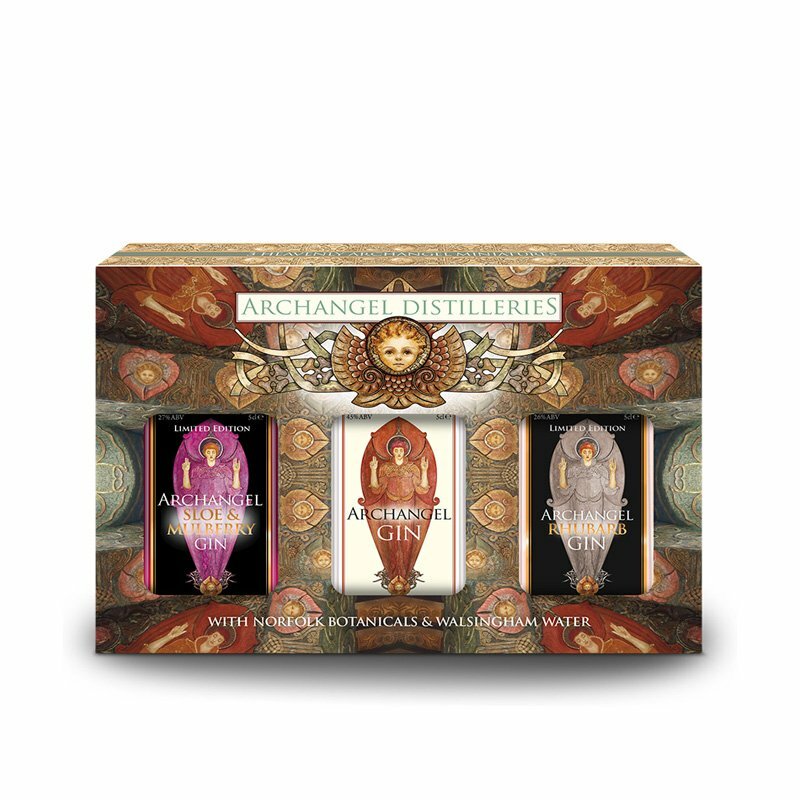 This gorgeous ‘Limited Edition’ gift pack contains three truly delicious flavours. 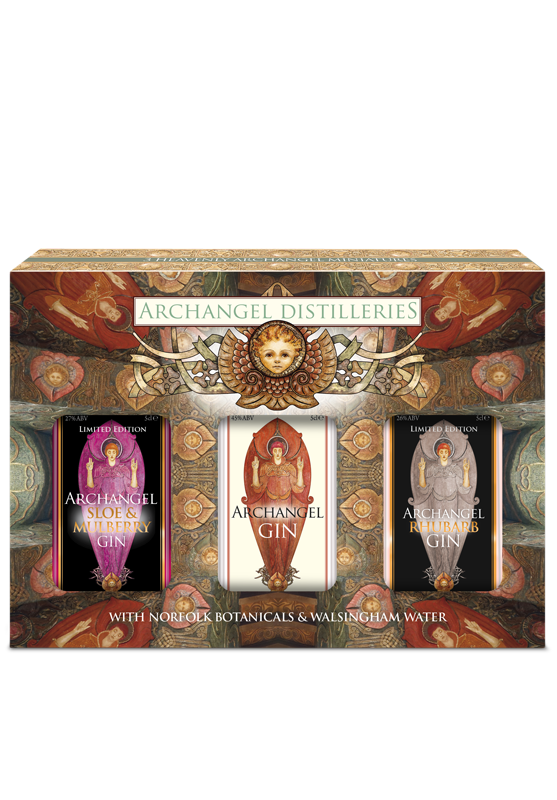 Our classic Archangel Gin, our Rhubarb Gin Liqueur and a special winter release of Sloe and Mulberry Liqueur. Produced with local fruit, carefully filtered to retain as much fruit flavour as possible. 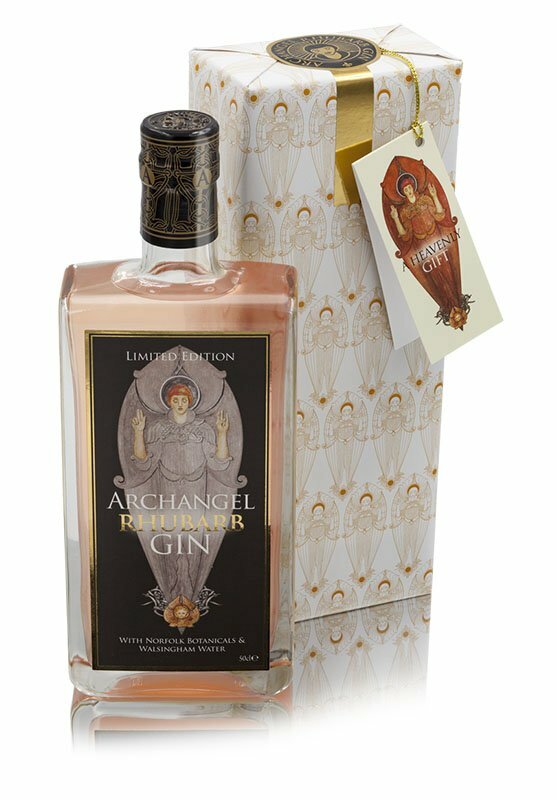 and displayed in our beautiful gift box, this makes the idea Christmas stocking filler for the gin enthusiast or, indeed, for any special occasion. 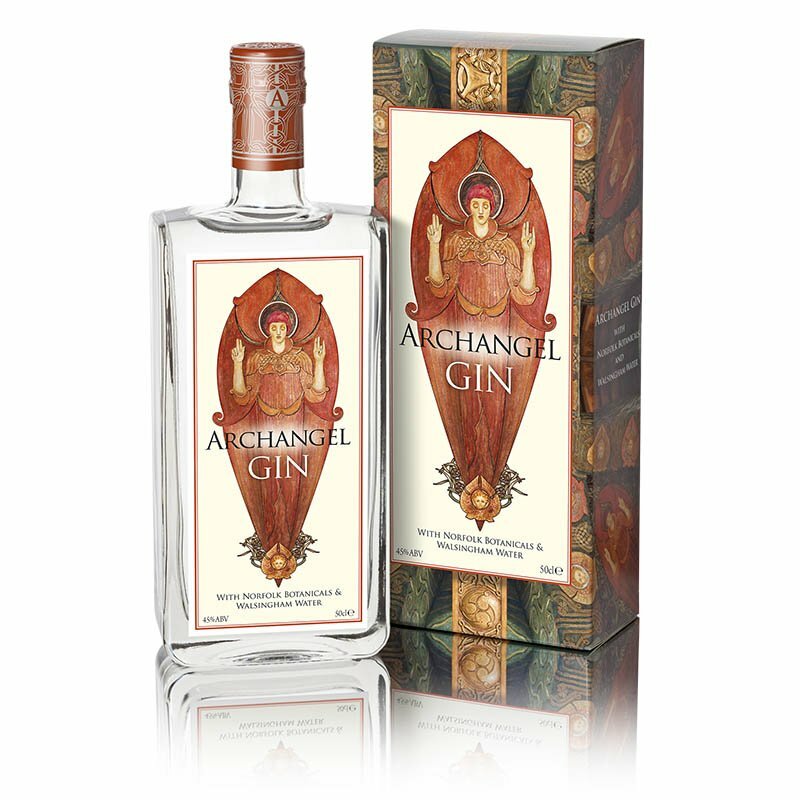 Gin ABV 45%; Rhubarb ABV 26%; Sloe & Mulberry ABV 27%.